The CADI Program is for children under the age of 5 years. Els for Autism Foundation transdisciplinary CADI team of specialists includes professionals in the areas of special education, speech and language pathology, and applied behavior analysis. 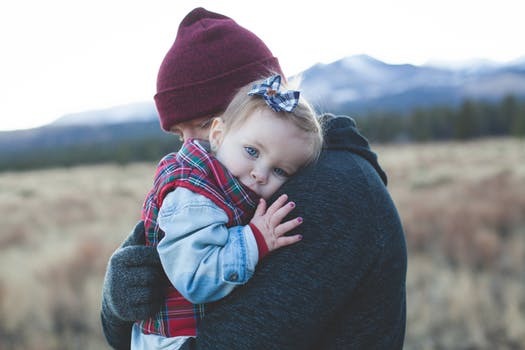 Our team of highly skilled professionals provides a comprehensive evaluation and report that is used in the development of treatment goals, as well as aid the family’s licensed medical professional in determining if a formal diagnosis of autism spectrum disorder is warranted. Early intervention improves outcomes for children with autism spectrum disorder. 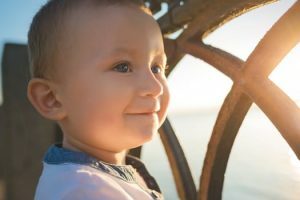 Comprehensive final report of scores, impressions, and recommendations for treatment is sent to the family. A meeting is conducted with the family to review the report. CADI team members are available to accompany the family during a diagnostic visit with their primary care physician. Early Education Services are designed to support the development of social, communication, play and pre-academic readiness skills for children up to age 5 years 11 months. Plans are developed to target the unique strengths and learning opportunities presented for each child. One-on-one therapy services are provided to each child in an environment that best meets that child’s learning needs. 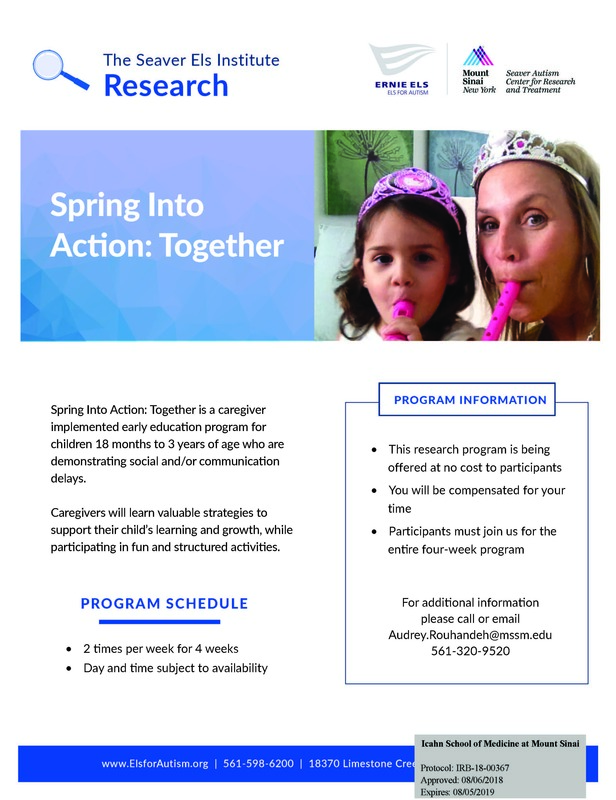 All services provided through Spring Into Action utilize a transdisciplinary model and incorporate evidence-based practices and family involvement to support skill development and decrease the likelihood of challenging behaviors. 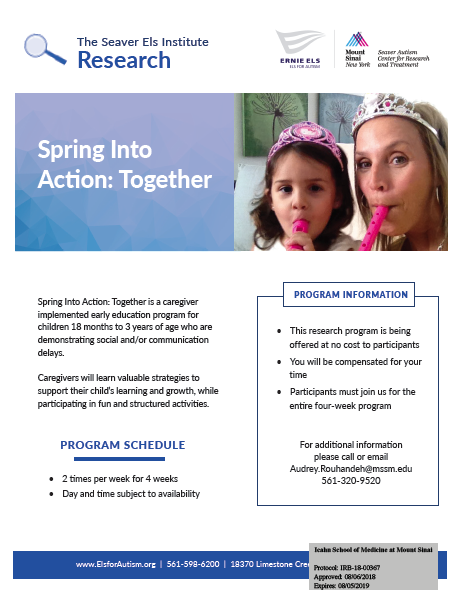 Spring Into Action Together is a caregiver-implemented early intervention research project for children 18 months to 3 years of age. The program is designed to support communication, social engagement, and play skills. The Spring Into Action program will incorporate each of these elements into the program to create the most comprehensive early intervention program possible.